Best Western PLUS Meteor Plaza hotel offers 85 comfortable and fully air-conditioned rooms and 4 suites. 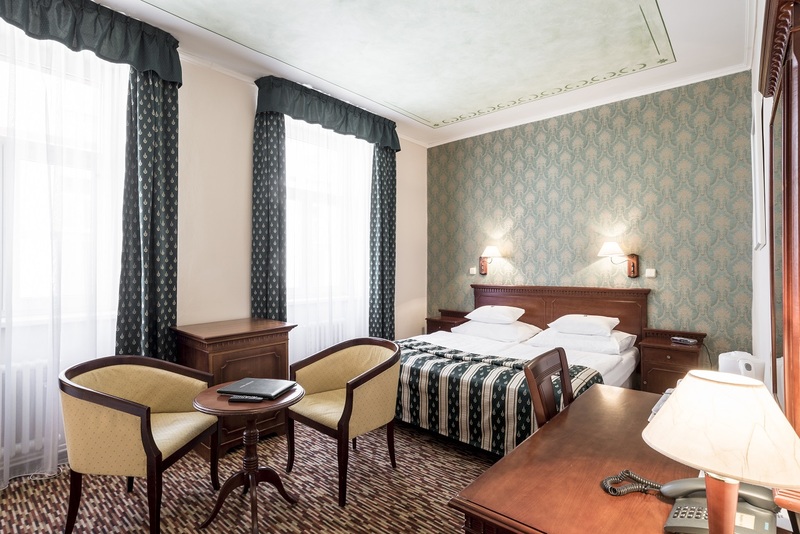 All rooms are equipped with a minibar, coffee and tea machine and Wi-Fi Internet access. You can make use of the room service and, if you are a passionate musician, we have a room with a piano especially for you. Fully air-conditioned double rooms have all the comfort - private bathroom (shower / tub, toilet, hair dryer, hotel cosmetics), satellite TV, direct dial telephone, safe, mini bar, tea and coffee machine and Wi-Fi. There are double rooms with a double bed or two twin beds. The room is overlooking a nice and quiet courtyard with summer garden or you can see the street. Spacious and highly comfortable room where all beds have a 5cm high mattress topper for an excellent sleeping experience. In addition to a standard room equipment such as a private bathroom (shower / tub, toilet, hair dryer, toiletries), a satellite TV, free Internet access (WI-FI), an IDD telephone, a safety deposit box, coffee and tea facilities and a minibar, in a Superior room you can find upgraded bathroom amenities, slippers and a free voucher for one Welcome drink (beer or wine) in our Lobby Bar or in the Summer Garden. 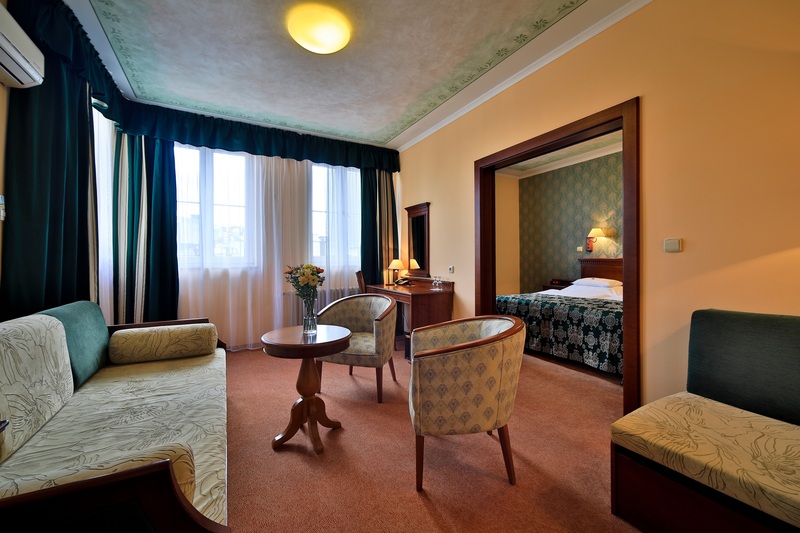 Come and enjoy the comfort of a Superior room. 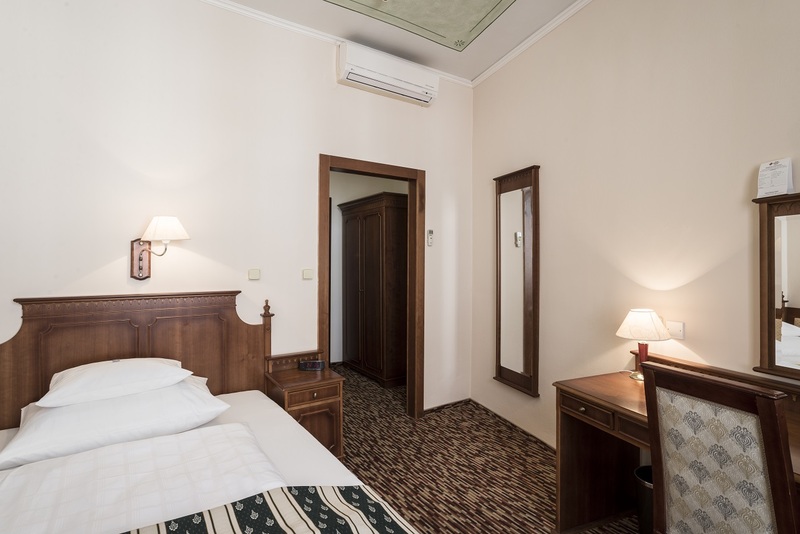 Fully air-conditioned triple rooms have all the comfort - private bathroom (shower / tub, toilet, hair dryer, hotel cosmetics), satellite TV, direct dial telephone, safe, mini bar, tea and coffee machine and Wi-Fi. 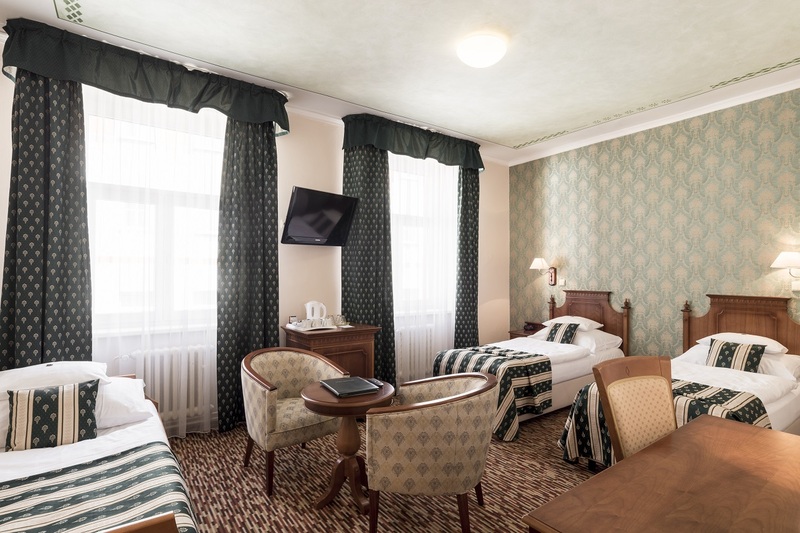 Triple rooms are furnished with double bed and a sofa bed or three separate beds. In addition to the standard equipment you can make use of cosy seating area with a reading lamp. The room is overlooking a nice and quiet courtyard with summer garden or you can see the street. Fully air-conditioned single rooms have all the comfort - private bathroom (shower / tub, toilet, hair dryer, hotel cosmetics), satellite TV, direct dial telephone, safe, mini bar, tea and coffee machine and Wi-Fi. The room is overlooking a nice and quiet courtyard with summer garden or you can see the street.